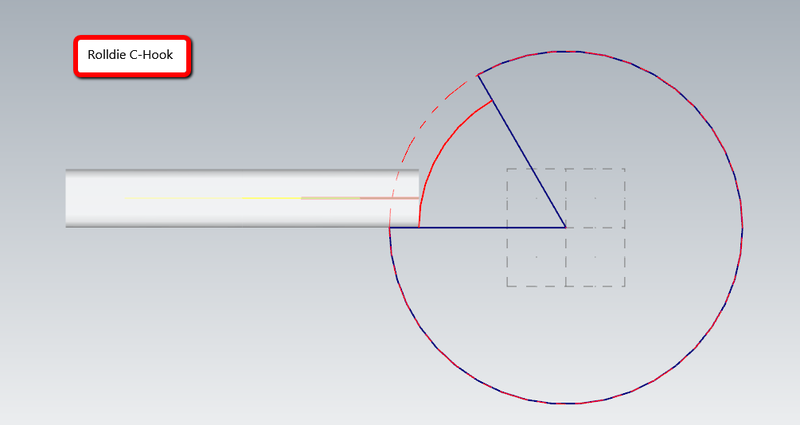 Using a standard axis substitution function, the tool will always point to the center of the part. The side of the tool does not machine the walls. 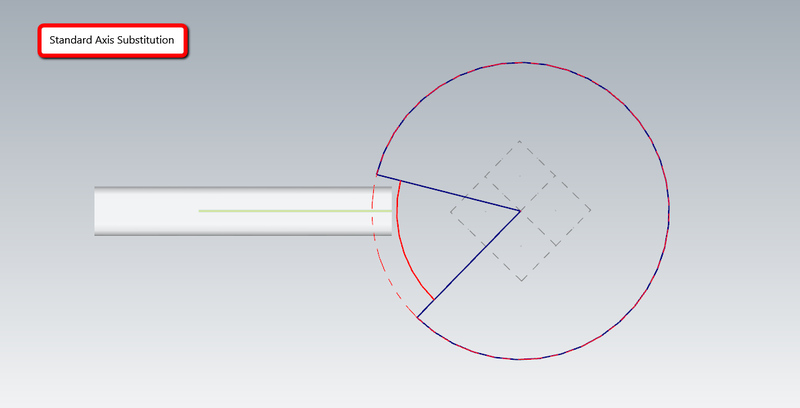 The Rolldie C-Hook toolpath is designed to compensate to the side of the tool and not to the center of the tool.